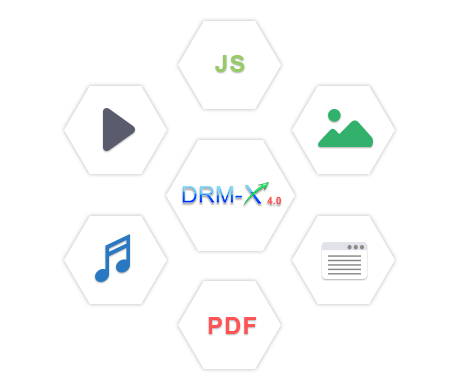 Start using Haihaisoft DRM-X 4.0 protect your files (Now it supports 16 formats, includes Audio/Video, PDF, Images and Web pages), you can also integrate with your own file sharing platform. The process is easy with DRM-X 4.0! Gain the confidence to share your secured files online or within your IT environment with Haihaisoft’s strong and private encryption and extensive digital rights management (DRM) controls for protecting your Audio/Video, PDF, Web Pages and Images files. DRM-X 4.0 secures your file, you can securely publish it online in your own website, or lets your customers access protected files via 3rd party platform. You can upload the protected files with Dropbox, Google Drive, and OneDrive, or integrate with another file sharing platform. Your users need to download the protected files in Xvast, then login and get a license to open it. Haihaisoft’s experienced services team can also help you integrate DRM-X 4.0 with your own platform, so users can login your website’s account to open protected file. Haihaisoft secured files are protected with strong and private encryption, and your content is permanently encrypted - no matter how you choose to share them. Your users only need to install Xvast browser to view it. Xvast is a secure and fast browser. Our solution’s digital rights management (DRM) technology ensures that control over the files stays with your business, even if the file is downloaded or taken off your company IT infrastructure. No matter who’s accessing the content, no matter what device is being used. The security layers and encryption travel with the files even if it gets saved to a local machine, corporate network, or mobile device. How does Haihaisoft DRM-X 4.0 protect your files while ensuring that you maintain control even when they are widely shared? Through DRM-X 4.0 protection, you will never worry about file sharing, because your files are protected with strong encryption, and protected with a license. Your customers need to get a license before open the file. The license is combined with hardware, the license cannot be shared, so it means your files are secure when your users share with others. You still have other advanced DRM features. Such as, block virtual printing(only allow physical printer in protected PDF), and set print count, you can apply a watermark with user’s identity, you can set various limits including license combined with device, expiration date, expiration after first use, open count and more. You can also revoke license to a specific license profile or user at any time, at the DRM-X 4.0 account Users portal, and you have access to a detailed license delivery reports to monitor how your documents are being accessed and consumed by your users. Xvast browse is a secure and fast browser developed based-on Chrome. It is designed for opening DRM-X 4.0 protected files. It supports multiple-platform: Windows, MacOS, Android and iOS. Your user needs to install Xvast browser to open protected files. Xvast gives your digital files strong protection, and make sure all of your DRM rights settings are applied to customer, no matter how customers share the files. For example, if you turn on Blacklist, it will block common screen recording and screen capture software. It also disables Print Screen in the keyboard, and protect your files text cannot copied.